From a practical point of view, there are few references. None are easily found as original items & even decent photocopies are hard to come by. workshop manuals appearing on eBay regularly fetch £50 to £150 depending on condition & content. Trying to rebuild a Parilla without some reference material is not something to undertake. Many of the unique features of the engine need a little getting used to & a illustrated parts manual is an invaluable asset. 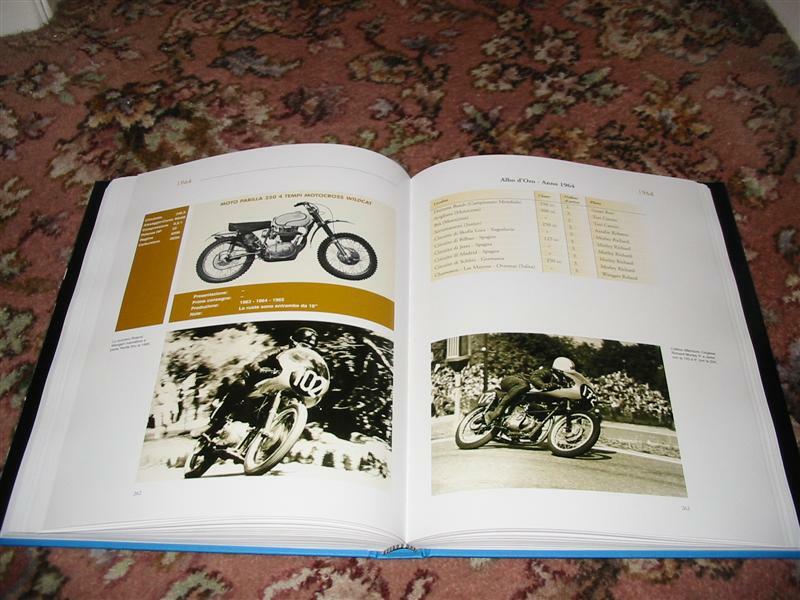 Owners manual – an odd shaped little book but full of information for the 175/200/250 motorcycle. Includes basic adjustments to cycle parts & engine plus the usual congratulatory stuff regarding. your decision to saddle yourself with a Parilla. 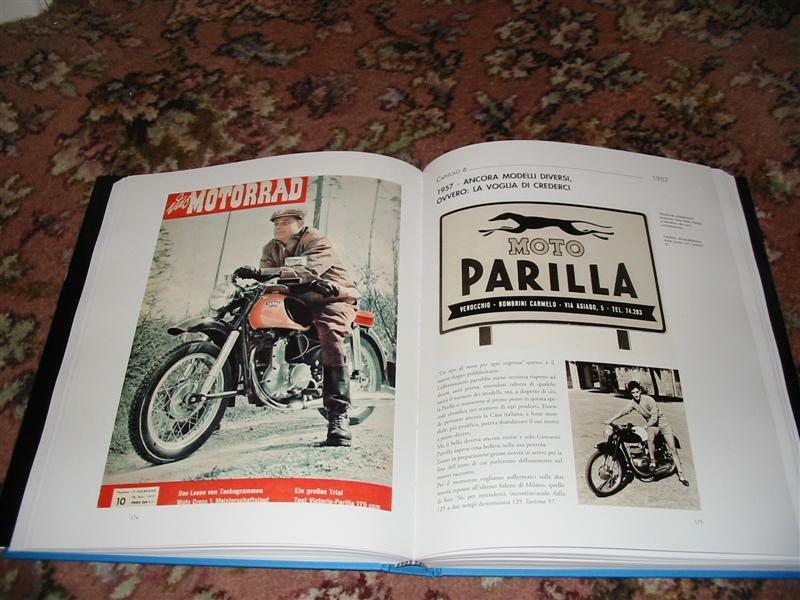 Parts manual – A lovely book with fine illustrations & text in both Italian & English in most editions. The last edition I know of (N16) contains information about all models including parts needed for the MSDS models & conversion lists of parts to fit close ratio & 5 speed gearboxes. Very handy indeed. The downside is that the illustrations are from the very first edition with few new illustrations of later models. Workshop Manual – This is a great book if you are in the mood for a laugh, less so if you are trying to decide how best to check correct tappet rotation & cover alignment! Written initially in Italian it has been “translated” into English by someone (I suspect to be) neither Italian nor English. If “Controlling motions of the internal organs” sounds like checking the tappet adjustment of the engine then you are in for a very enlightening read. Many diagrams & component measurements make it a worthwhile book to have though.